Salem Dernawi, a qualified Avionic Maintenance Engineer, has been working in aviation for almost 30 years. 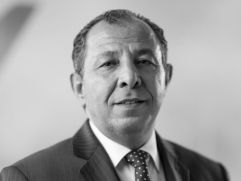 He is fluent in Arabic, English and Italian and works for AJW as a Regional Marketing Manager looking after North Africa and selected Middle East operations, which is his region of expertise. 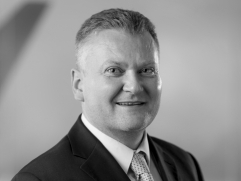 Salem began working with AJW in 1996 after 10 years working in international trading in Africa and the Middle East. Prior to joining AJW five years ago, Tommy was employed by the US Naval Air Force and Israeli Aircraft Industries (IAI) in various aerospace engineering and developmental projects including marketing development at IAI. 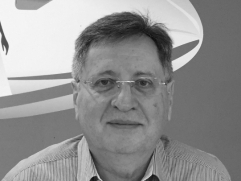 During the years between 2000-2005 he founded and managed an IAI subsidiary specialising in providing total maintenance solutions to various airlines. He was also appointed Chairman of the IAI's Marketing and Development Board for Cargo Conversions. 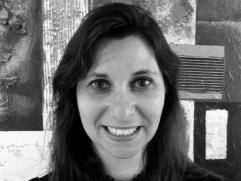 Adi has been with AJW since 2008 and holds responsibility with Tommy Guttman for a customer portfolio which includes Israel, Ukraine, Romania, Hungary and Bulgaria. Adi is also involved in special end-of-lease and maintenance projects for AJW in Israel. Adi is a Fairley Dickinson University graduate in Communications with nearly 15 years of experience in Marketing, QA, Pre-draw material needs, Provisioning and Maintenance solutions. Prior to joining AJW Adi was employed by Bet Shemesh Engines as Purchasing Manager for their civil and military small jet engine business and also worked independently as a Material & Logistics Consultant for on-site conversions and heavy checks, supporting B747/B737/B767 aircraft fleets.